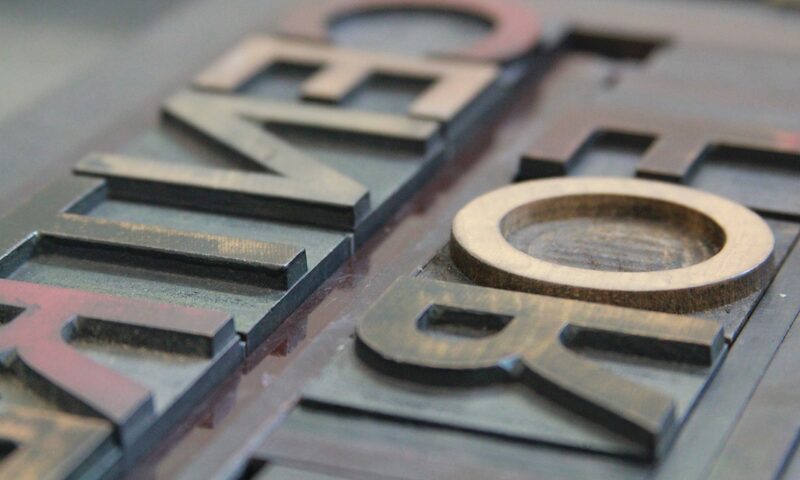 Based in 223 Studio at SWG3, The Caseroom houses a collection of letterpress printing equipment comprising of antique printing presses, wood type, metal type and an array of associated paraphernalia. This space provides an environment to experiment with typographic processes, produce prints from lino, collograph, wood-cut and engraved-wood images. It also offers the opportunity to combine traditional and digital making, using laser cutting, photo-polymer and 3d-printing to explore new ground. The workshop acts as a hub for a range print based activities and hosts seasonal residencies, talks and projects. Owned and operated by Edwin Pickstone in collaboration with Designer in Residence Ruth Kirkby, with additional help from A Visual Agency and Neil McGuire, The Caseroom is a non-profit facility which is available for the use of studio members subject to a small fee. This facility is also available for hire to outside parties for all manner of projects involving the use of this rare collection of specialist equipment. The Caseroom will return with more residencies and talks in 2019. And maybe a new improved website too.